Jake Cole, prodigal son, former heroine addict and alcoholic, and special consultant to the FBI returns to his childhood home of Montauk where his estranged father and great American painter Jacob Coleridge has fallen prey to the beginnings of Alzheimer’s as evidenced by his father having set himself on fire and then crashing through a plate glass window. Bestowed with the ability to reconstruct three-dimensional crime scenes in his head, Cole’s mind is full of dark and demented images from his job. Cole not only has an eidetic memory, but must also compartmentalize the horrors that play on an endless loop in his head in an effort to protect what is left of his sanity. Recently, he has been contemplating retirement at the behest of his fellow AA devotee and wife, Kay, and for the good of his young son Jeremy. Cole’s plan is to get his father’s affairs in order and go home. As with all fine laid plans, life has something else in mind. Upon entering his father’s house, Jake is unprepared for what he finds. There’s the proliferation of scotch bottles, carpets nailed to the floor in a crazy pattern, and years of neglect and filth. But it’s the multiple images of a horrifying man without a face painted all over his father’s studio—proffering a window into a tortured mind—that claims the prize for most shocking. Already dealing with his father’s escalating condition and the impending arrival of his wife and son, Jake learns that a category-five hurricane is slated for a direct hit on Montauk in less than three days. Then comes the cherry on top: a phone call from the local PD regarding a brutal double murder just a few minutes away—a woman and her child have been skinned alive. Fighting off the memories of a similar fate that befell his mother more than 30 years ago, Jake responds immediately. With precise focus and unnatural calm, he processes the grisly scene—the first of many to welcome him home to Montauk. With a homicidal maniac on the loose and a killer storm on the way, only time will tell which one will do more damage. 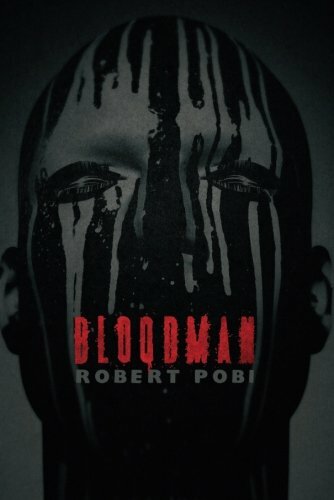 Giving a slight nod to the television shows “Unforgettable” and “The Mentalist,” Robert Pobi creates his own brand of bogeyman. An incredibly intense and focused leading man, Special Agent Jake Cole deals in death and destruction that seem never to end. Mr. Pobi writes with solid consistency as he weaves a tale of unthinkable—yet quite plausible—horror in the form of a psychotic madman who’s always one step ahead, committing unfathomable atrocities that all seem to stem from the mere presence of . . . you got it: Jake Cole, whose return home has triggered something evil in the serial killer. Though there are moments of dwelling on an issue and repetitive restatement—such as the recurring and curious use of the word flotsam—Robert Pobi does an excellent job of keeping the story moving forward, ratcheting up the intensity at just the perfect pace. The characters are well developed, each one making an important contribution to the story no matter how brief their time in the narrative spotlight. Proving he has the chops to make it in a genre where mystery and horror crash into forensics, Mr. Pobi knows that complex intrigue and perfect timing are the elixirs keeping the reader addictively turning the page. He applies just the right amount of pressure as he expertly navigates an increasingly turbulent plot that in the hands of someone less capable, easily could have shot off in the wrong direction. Robert Pobi is a fantastic new voice in the thriller genre.